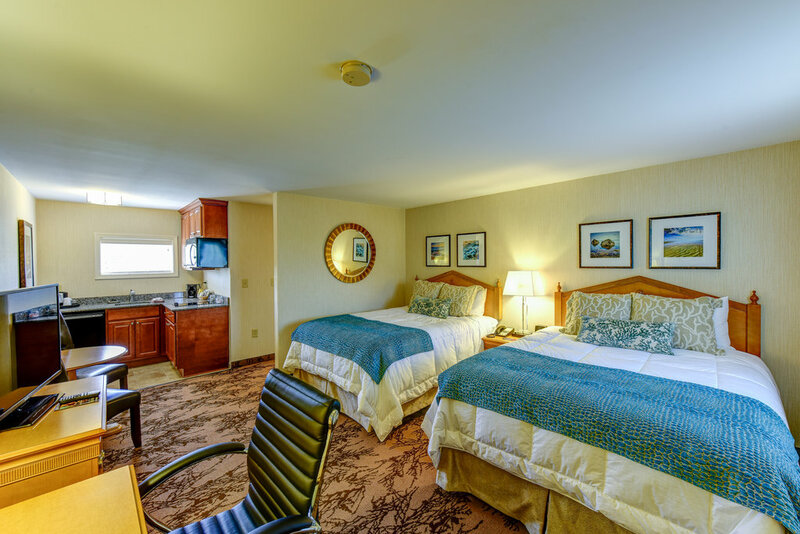 This spacious Two Queens with Kitchenette studio features a full kitchenette and two queen beds made with luxury linens and plush, comfortable pillows to ensure a good night’s rest. 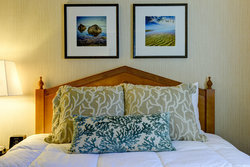 Our thoughtfully-designed rooms offer all the convenient amenities of home, with high-speed Wi-Fi and a flat-screen TV with premium movie channels and HBO, promising a relaxing evening in. Prepare a delicious meal with ease in the kitchenette that is equipped with a stove, microwave, mini-refrigerator, dishes, and all the cooking utensils required to cook a full meal. Our studios are conveniently located across from the pool and BBQ area, along with the dog walking area, which is just behind the hotel. 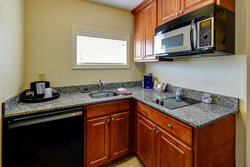 Enjoy convenient amenities located around the property, like laundry facilities and a business center with computer access, along with printing and scanning capabilities. 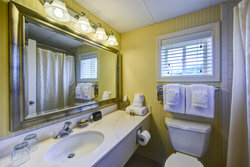 Along with all of our fantastic amenities, you can also take advantage of our daily complimentary breakfast, free Wi-Fi, and premium bath amenities. These expansive studios are characterized by welcoming interiors and a unique ability to accommodate extended stays thanks to the full-studio design. Capable of housing up to 5 guests, this grand room is perfect for group travelers or full families.